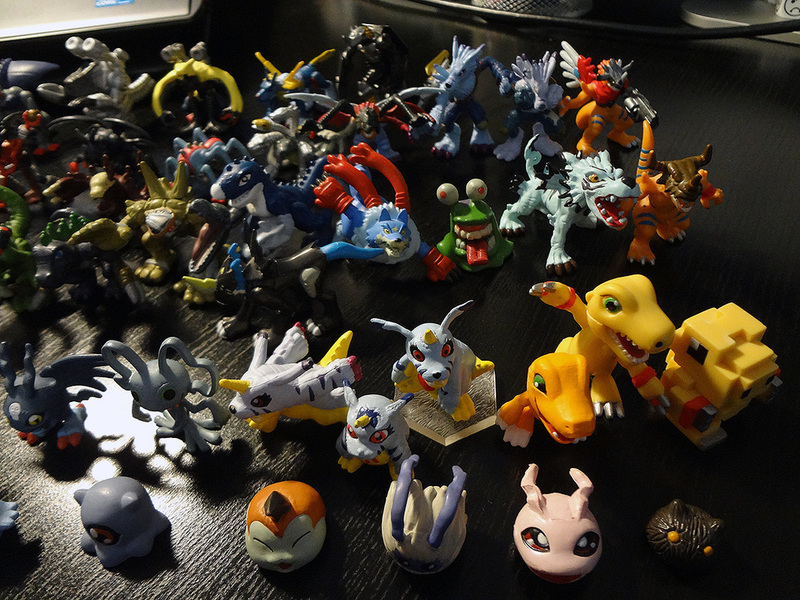 I have over 100 of these small, well-known Digimon figures. I bought most of them in stores years ago, as they used to come in packs of about 5 digimon. I would buy one pack every one or two weeks. 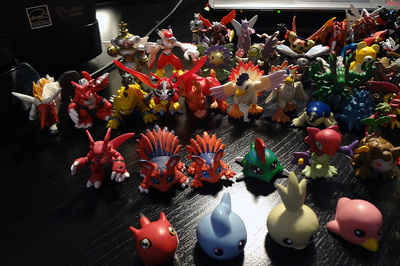 Years later, I decided to sell about 30 of my least-favorite ones to make more space and money. Nowadays I'm pretty content with what I have. 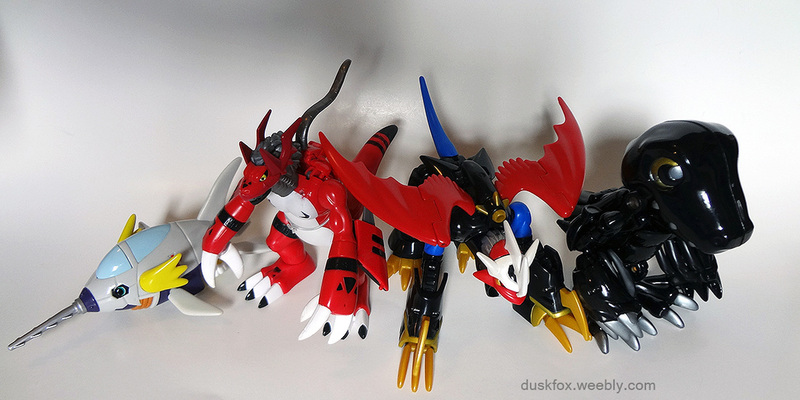 Maybe I'd buy some of the Season 1 digimon I missed, though. 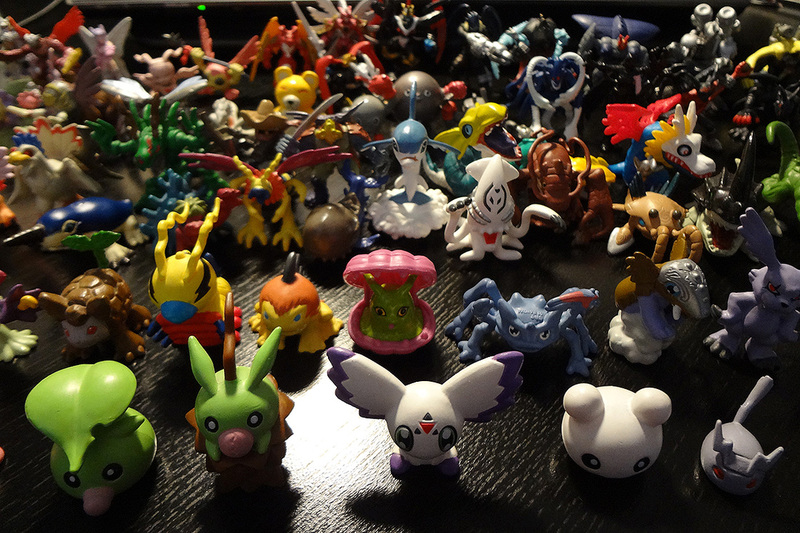 You can find lots of these on eBay, but be prepared to pay a decent price as they go for $1 each at the very minimum. 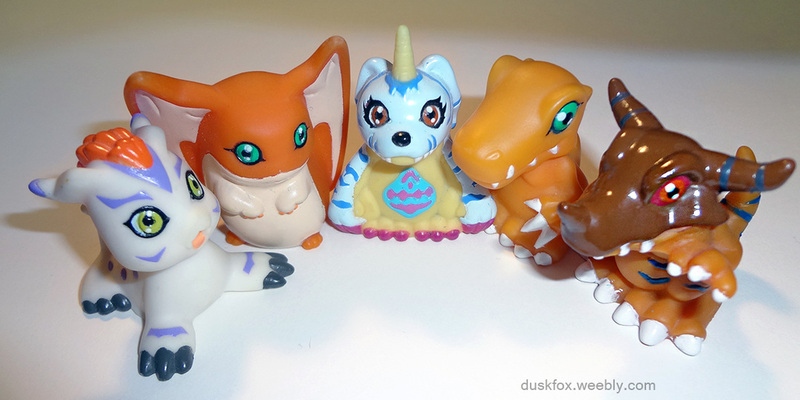 I also have the Renamon-line, 12 zodiac deva digimon, and the 4 digimon sovereign (no pics yet). 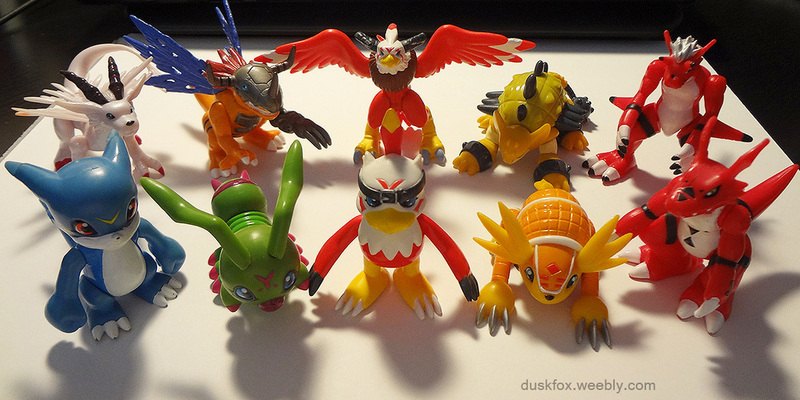 Each of them can open up to reveal a tiny playset inside. 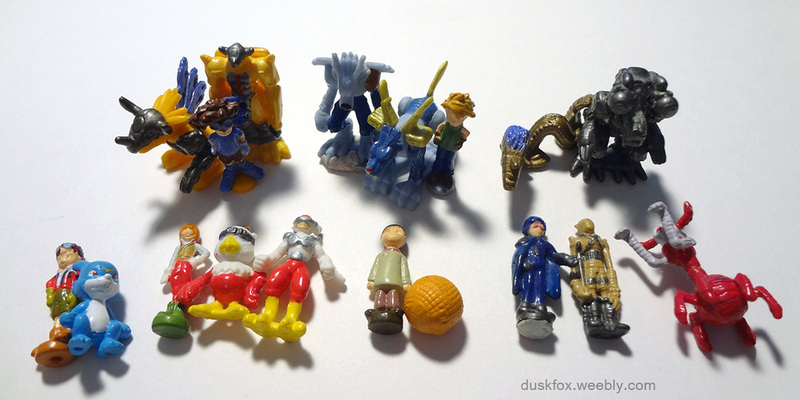 They come with miniature figures too (see below). 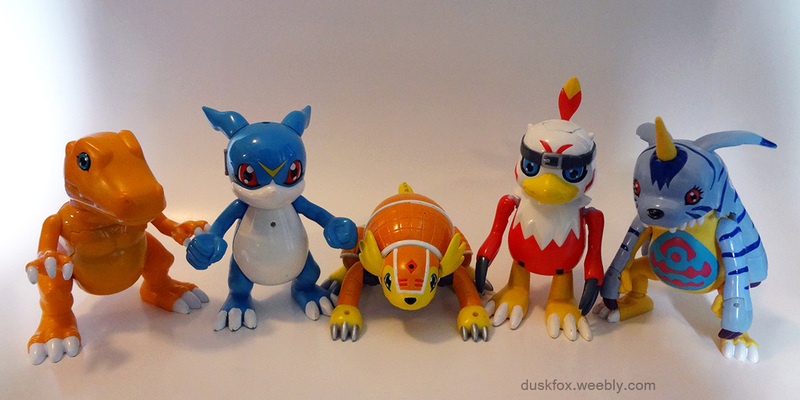 Additionally, they come with pieces that you can attach to make them digivolve. 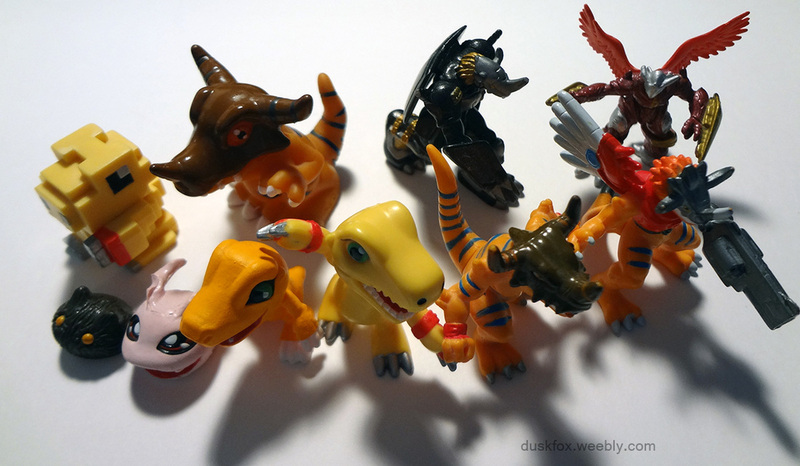 These came with the playsets above! They are really tiny. 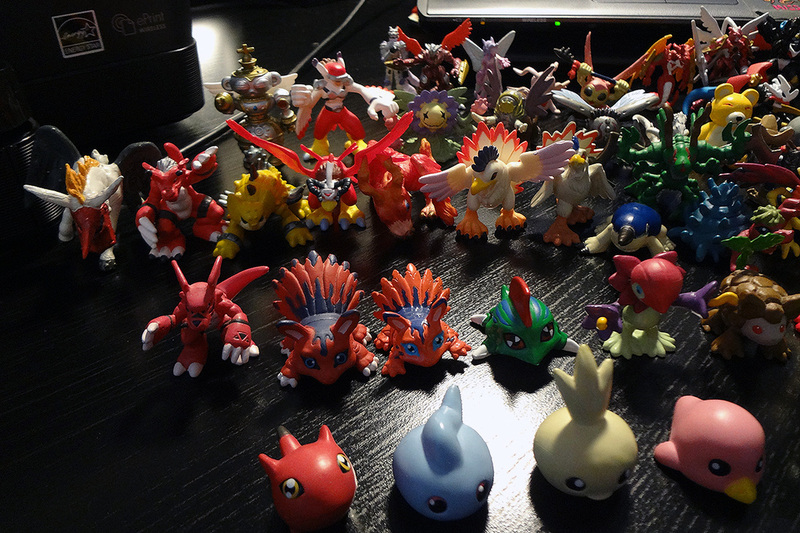 There was a Raidramon with the Veemon set too (I sold it to another collector). Soft chibi figures. Not sure what they are really called, but I bought these in the US and they're pretty nice. Oh yeah, they are also pencil toppers; they have holes in the bottom and came with pencils iirc. 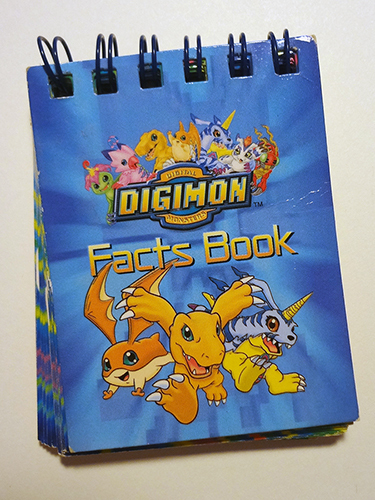 A small spiral notebook with pages for all the Season 1 digidestined kids and their digimon! 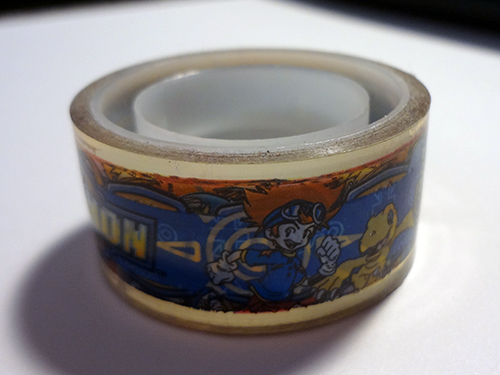 Digimon Tape! 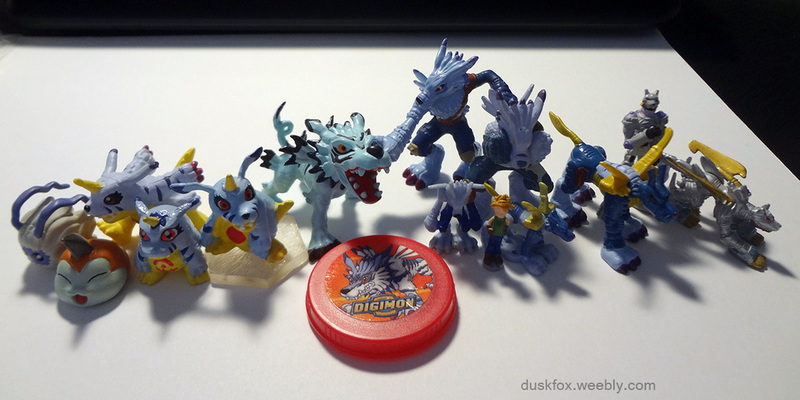 It's a pretty cool roll that has all the Season 1 digidestined on it.